Luffa (Luffa aegyptiaca Mill.) is a plant from the cucumber family, mainly grown for fibre production. Luffa (Luffa aegyptiaca Mill.) is a plant from the cucumber family grown for its multipurpose fruit in many tropical countries. It is an annual climbing or trailing herbaceous species that can grow to a length of 15 m. The luffa fruit is a cylindrical, fusiform, smooth, and dehiscent capsule, 20-50 cm long x 6-10 cm broad, with has a characteristic fibrous mesocarp (Achigan-Dako et al., 2011; eFloras, 2014). The leaves are alternate, large (6-25 cm x 6-27 cm) ovate and dark green. The seeds are numerous, dull black, elliptic-ovoid, 10-12 mm long x 6-8 mm broad. The Luffa genus encompasses 7 species among which two are domesticated: Luffa aegyptiaca and Luffa acutangula (Joshi et al., 2004). Luffa is primarily grown for its fibre production. The young fruits and leaves can be cooked as a vegetable (fruits are used in India to make curry) or eaten fresh or dried. When the fruit matures it becomes fibrous: the fibre is used as a sponge for washing by humans and scrubbing utensils. In Central Africa, luffa fibre is used to brush clothes. It is also used to make hats, insoles of shoes, car-wipers, mats, sandals and gloves. The fibre has shock and sound absorbing properties that can be used in helmets and armoured vehicles. The fibre can be used as a filter in engines or to treat water or, in Ghana, palm wine. Fungal biosorbents can be immobilized on cylindrical sponges made of luffa in order to absorb heavy metals from wastewaters, including those from olive oil mills. Luffa oil meal is suitable as a fertilizer (Achigan-Dako et al., 2011). Luffa seeds can be extracted for their edible oil which is rich in linoleic acid and has a high unsaturated:saturated fatty acids ratio (Elemo et al., 2011). However, luffa seeds and oil meal contain bitter substances that may be toxic to livestock. As of 2014, successful use of luffa products has only been reported for luffa seeds in feeding rabbits (Dairo, 2008), and luffa oil meal for feeding African catfish (Clarias gariepinus) (Jimoh et al., 2013). The use of luffa oil meal was considered inadvisable for cattle (Achigan-Dako et al., 2011). 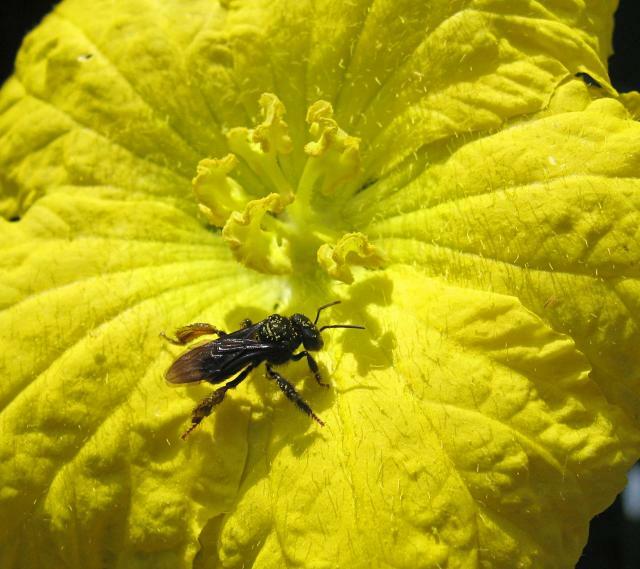 Luffa fruits and foliage are palatable and browsed by goats (Achigan-Dako et al., 2011; El-Hag et al., 2013). Leaves can be eaten by horses, cattle, sheep and goats (Malzy, 1954). Luffa is a fast-growing vine well suited to tropical areas or to summer-growing conditions under a temperate climate. Luffa is thought to have originated from Asia, though some authors have also suggested a West African origin. Luffa is now widely spread in tropical and subtropical areas worldwide. Naturalized luffa occurs in forests, woodlands, thickets and grasslands, and from sea level to an altitude of 1500 (-1800 m). Cultivated plants do better where average annual temperatures are about 23-27°C and where annual rainfall is between 1000 and 2000 mm (Ecocrop, 2014). Luffa can grow on a wide range of soils but does better on medium-textured organic soils such as deep, well-drained sandy loams, with the pH ranging from 5.5 to 6.8, and low salinity (less than 4 dS/m). Luffa is sensitive to frost, and excessive rainfall during flowering or fruiting hampers fruit yield (Ecocrop, 2014; Achigan-Dako et al., 2011). The main commercial production comes from China, Korea, India, Japan and Central America (Joshi et al., 2004). In Brazil, luffa is one of the most important sources of fibre with piaçava (Attalea funifera Mart. ex Spreng.) and curauá (Ananas comosus (L.) Merr. var. erectifolius (L. B. Sm.) Coppens & F. Leal) and its cultivation has an increasing economic importance (Anandjiwala, 2007). 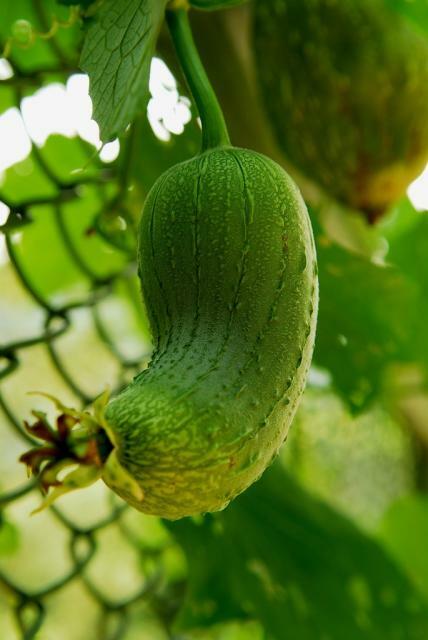 Luffa grows well on a support such as a trellis or fence. Horizontal trellis were shown to enhance fruit yield in Sri Lanka (Silva et al., 2012). Yields of up to 30-40 t/ha or 20-25 fruits per plant have been recorded (Ecocrop, 2014). Information about the composition of luffa products is relatively scarce. Luffa seeds are rich in protein and oil but highly variable contents are reported: for example in whole seeds 25-30% protein and 25-30% lipids (Dairo, 2008; Karaye et al., 2013), and in dehulled seeds 34-40% protein and 22-40% lipids (Amoo et al., 2008; Madaan et al., 1984; Sabo et al., 2005). Fibre content is relatively low (crude fibre less than 7% DM), even for whole seeds. The protein profile is moderately rich in lysine (4.2% protein) but low in sulphur-containing amino acids and threonine (Lebas, 2004; Ayodeji et al., 2013). Luffa seed oil is rich in linoleic acid (30-50% of the total fatty acids), but low in alpha-linolenic acid (0.1%) (Sabo et al., 2005; Elemo et al., 2011). Luffa seeds and oil meal are bitter, due to the presence of cucurbitacin B, a steroid that is cytotoxic and poisonous to some animals. Another cucurbitacin found in luffa seeds is colocynthin, a purgative terpenoid glycoside. Processes such as soaking, heat, or moist heat combined with fermentation alleviate toxicity in cucurbit seeds and meals and enhance their nutritive value (Thacker et al., 1992). In the Brazil Nordeste, farmers have reported that Luffa acutangula was linked to abortions in cattle and sheep, and that putting luffa fruits in the drinking water of calves as an anthelmintic resulted in the death of 20 animals (Silva et al., 2006). There is little information available about the use of luffa forage, products and by-products as ruminant feeds (as of 2014). An early paper reported that luffa leaves could be fed to cattle, sheep, goats and horses (Malzy, 1954). In Sudan, it was among the preferred browse for goats after Eragrostis tremula, Cenchrus biflorus and Echinochloa colonum (El-Hag et al., 2013). 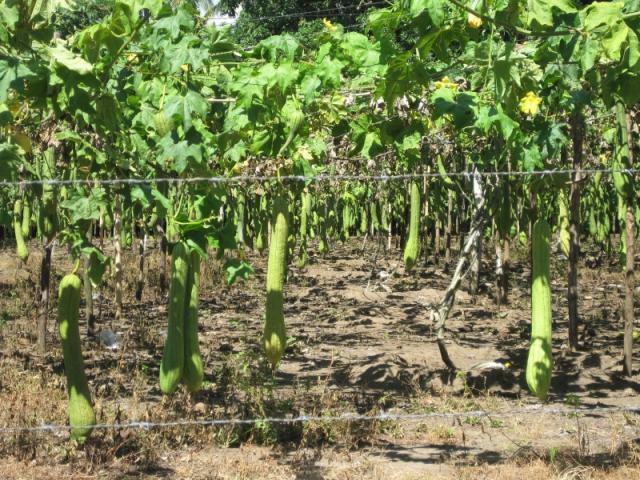 However, Brazilian farmers reported poisoning linked with the consumption of Luffa acutangula (Silva et al., 2006). Luffa oil meal was reported to be toxic to cattle (Achigan-Dako et al., 2011). No information is available about the use of luffa fruit, seeds and oil meal in pig feeds (as of 2014). Based on analytical data only, it was assumed that luffa oil meal included at 15% of the diet could provide enough essential amino acids for young pigs (Thacker et al., 1992). However, processing would be necessary to reduce the presence of toxic components. There is no information available about the use of luffa fruit, seeds and oil meal in poultry feeds (as of 2014). In Nigeria, luffa leaves and vines were safely fed to rabbits (Mustapha, 1999 cited by Fafiolu et al., 2006). When mixed with a concentrate based on maize grain, wheat bran and groundnut cake or steamed feather meal, luffa leaves could represent up to 50-60% of the total daily intake of growing rabbits as a source of protein and fibre (Ayanwale, 2006). Luffa seeds are a potential source of energy and protein for rabbits. They cover about 120-130% of their lysine requirement, but only 1/3 of the sulphur-containing amino acids requirement and 75% of the threonine requirement (Lebas, 2004; Ayodeji et al., 2013). Luffa seeds could be safely introduced up to 10% in complete feeds for growing rabbits as a partial replacement for soybean meal. However, growth rate was reduced by 15%, which was probably a consequence of protein wastage induced by the increased deficiency of sulphur-containing amino acids, as shown by the increase in serum urea (Dairo, 2008). Luffa oil meal replaced soybean meal in the diet of African catfish fingerlings at up to 15% of the diet without affecting growth performance. However, there was a reduction in growth and feed conversion ratio as luffa oil meal increased beyond 25% of the diet, which could have been due not only to amino acid deficiencies, but also to the presence of anti-nutritional factors or high fibre levels (Jimoh et al., 2013). Achigan-Dako, E. G. ; N’danikou, S. ; Vodouhê, R. S., 2011. Luffa cylindrica (L.) M. Roem. Record from PROTA4U. Brink, M. ; Achigan-Dako, E. G. (Eds.). PROTA (Plant Resources of Tropical Africa / Ressources végétales de l’Afrique tropicale), Wageningen, Netherlands.